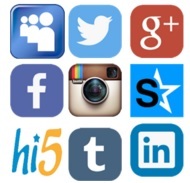 Social Networks All in One App is the most favorable App in the social media. Why to install tens of individual apps for each social network when you can access all of them in only one app, that is Social Networks All in One app. It contains all popular social networking sites and one can access his/her favorite social media such as Facebook, Twitter, Pinterest, Instagram etc. through this app.